Adding a pool to your outdoor living space is a great way to enjoy the summer. When it comes to in-ground swimming pools, there are several great options, and if you're considering installing a pool that is up-and-running for Memorial Day, now is the time to get started. Here's a list of the different types of in-ground swimming pools available. Fiberglass pools. In-ground fiberglass swimming pools can be installed in as little as seven days, whereas a concrete pool may take as long as three months. Fiberglass pools are low-maintenance, easy on swimmers' fingers and toes, and available in different shapes and sizes. Vinyl-lined pools. Vinyl pools are built with a concrete bottom and a wood frame. Unfortunately, they're vulnerable to staining from pool chemicals, but hey work well in northern climates and are a less expensive alternative to Gunite pools, which we'll talk about next. Custom gunite pools. Gunite swimming pools are highly durable and can be created in just about any shape. They don't require wooden frameworks to hold the shape of the pool basin. Custom Gunite pools have become very popular lately, and it's easy to see why. Here are the advantages of Gunite pools. You can choose a design and shape that fits your landscape. Custom Gunite pools can be made in any shape or size, which means you can have exactly the right size and shape of pool for your outdoor landscape. You don't have to re-design your landscaping around your pool; you can design your pool to fit in with your existing landscaping. You can select your finish materials to personalize your pool. Gunite plaster finishes comes in an array of different colors and finishes, so you can truly coordinate your pool to fit in with the rest of your landscaping. You can even choose finishes created from pebbles or glass for a high-end look in your in-ground pool. Your Gunite pool will be built to last. Custom Gunite pools are very durable. 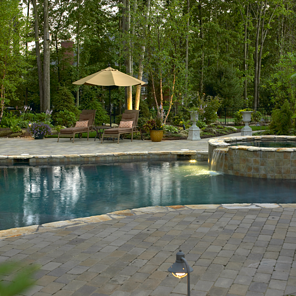 Among the different types of in-ground pools available today, Gunite pools last the longest and have the best warranties. This should be taken into account when considering the higher cost of Gunite pools. You'll get many more years of use from a Gunite swimming pool. Gunite pools are easier to construct than concrete swimming pools. Concrete swimming pools take a long time to build, and the quality of the construction, depends on some factors out of your control, like the outdoor temperature over the duration of the time when your pool is being constructed. 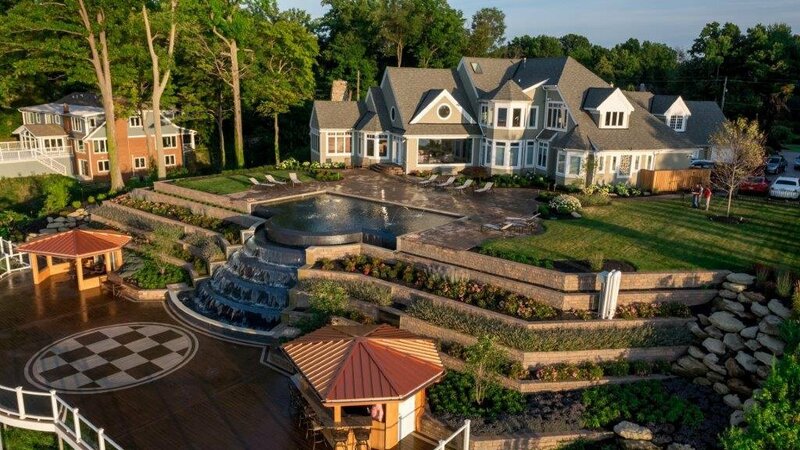 With custom Gunite pools, on the other hand, a rebar framework is sprayed with a concrete and sand mixture, creating a shorter construction time with less variability. You get more flexibility to add amenities with custom Gunite pools. Because the method of construction is more amenable to custom designs, the sky's the limit when it comes to customizing a Gunite pool. You can create a Gunite pool of any size, shape, or depth. You can get creative when it comes to amenities: built-in barstools, irregular underwater benches, tanning ledges, and more. Gunite pools also give you the flexibility to add monolithic vessels like streams, spas, and waterfalls, adding to the natural appearance of your swimming pool. As you can see custom Gunite pools offer lots of options, impressive durability, and a high-end look that can transform your backyard into a luxurious haven. To get your Gunite pool installed in time for Memorial Day, call us now to discuss your project. We look forward to hearing from you.